This week US journalist Mark Rogers visited the destination; Rogers is working on several articles for publication in major media outlets including USA Today and Travel Age West. The Riviera Nayarit has remained a constant presence in both Canadian and US media, whether as a result of a press visit sponsored by the Riviera Nayarit Convention and Visitors Bureau (CVB), a press trip organized by a hotel seeking to promote the region, or by initiative of the publications themselves. When the CVB extends an invitation to a journalist to visit the destination, it does so based on the potential impact generated by the articles and the number of posts or articles they could publish in one or more media. 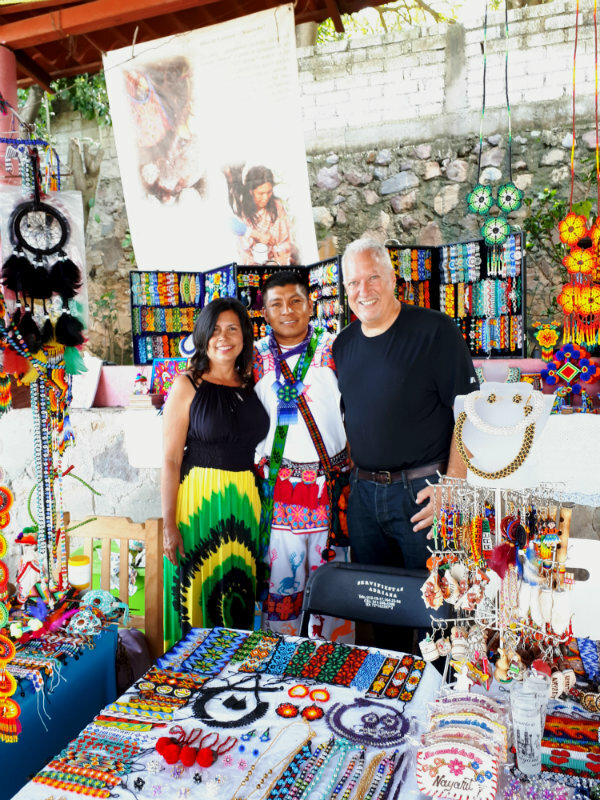 This week the Public Relations desk of the Riviera Nayarit CVB brought US journalist Mark Rogers to the destination, a journalist who specializes in tourism and whose résumé includes articles on the region in top media including USA Today and Travel Age West. Rogers first visited the Riviera Nayarit in December 2014 and generated nine different articles: four in Travel Age West and five in USA Today. One of these, titled “Mexico’s Next Hot Destination: Exploring Riviera Nayarit,” was published in USA Today and received the HSMAI Gold Adrian Award. An important number of impressions is expected, as USA Today alone is the paper with the highest print circulation and unique monthly visitors in the United States, distributing over 23 million daily newspapers and registering more than 20 million monthly visits to its website. To immerse himself in the experiences he will later retell in his articles, the journalist visited the city of Tepic and its Zitacua Huichol community; the Historic Port of San Blas, where he toured the more traditional attractions of La Contaduría and La Tovara; he also had the opportunity to interview Chef Betty Vázquez, the Riviera Nayarit’s Culinary Ambassador. His itinerary included a visit to Compostela’s micro destinations including Platanitos, Chacala, Peñita de Jaltemba and Rincón de Guayabitos, followed by a tour of Punta de Mita, the Glamour Peninsula. This Thursday will find him at the traditional villages of Sayulita, San Pancho and Lo de Marcos. Mark Rogers, considered an influencer, is preparing to share with his readers the romance, stunning sunsets, delicious gastronomy, the ecotourism activities, the surfing beaches, the ancient Huichol culture, the magic and the luxury of Mexico’s Pacific Treasure.